It’s that time of year again. Summer has come to an end and students are heading off to school. Henry should be in 2nd grade. But he’s not…and sadly he’s not alone. Everyday in the United States 43 kids are diagnosed with cancer. Every single day in the United States 5 children die because of cancer. And every year an additional 2,000 parents dread the first day of school because it’s a painful reminder that their child won’t be there. September is the start of another year of learning and it is also Childhood Cancer Awareness Month. It’s a month devoted to bringing awareness to the dire need for research that is aimed specifically to cure childhood cancer. Just this week the FDA gave formal approval to a new treatment option for kids will leukemia (CAR T cell therapy). It’s a huge breakthrough but more is needed. Our kindness theme for September is two fold. First we would like you to “trike” your local schools. You could take treats for the staff, a coffee gift card for your child’s teacher or extra supplies for the classroom. Remember to attach a trike ticket so the recipient can pay it forward. 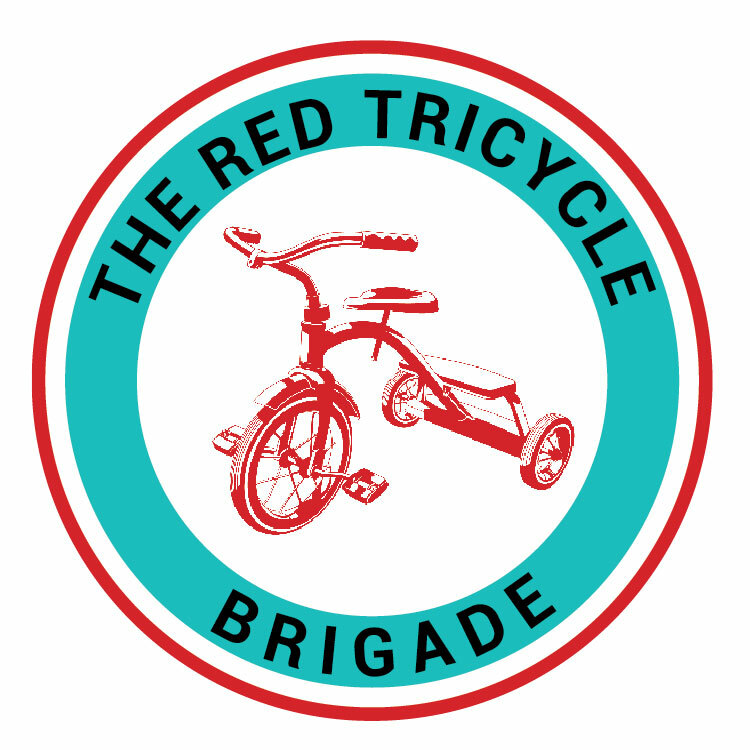 These can be printed at http://www.theredtricyclebrigade.com/print-your-trike-tickets. Secondly, we humbly ask that you make a donation to help fund pediatric cancer research at http://www.stbaldricks.org in memory of Henry Friedler. Let’s support cancer research, our schools and our students. Who knows, maybe one of them will find a cure for childhood cancer. Perhaps it will be Henry’s older brother, Owen. He’s a 4th grader this year and he’s on a mission. This entry was posted in First Fridays, Uncategorized and tagged Childhood Cancer Awareness month, school.